Hello I'm Jeff Wayne. I'm a guitarist and singer and have been performing professionally for more than 30 years. My most common performing set up is me with an acoustic guitar and microphone singing songs. I can add additional players upon request and provide anything from a duo to a "big" band with all the bells and whistles. I perform between 10 and 20 gigs a month and am not a hobbyist. I am blessed with the ability to play just about any genre' of music from classics to modern top 40. My set up for solo is a small system and the footprint allows me to take up very little space. Once of my attributes is that I can adjust my songlist to fit your event. I can take requests if you prefer, and with an internet wifi, I can pull most lyrics into my tablet and perform the song seamlessly. 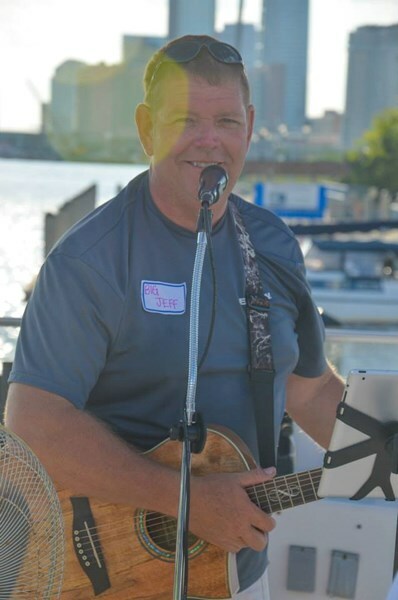 Although I am new to Gigmaster, I'm not new to performing at private or public events including weddings, festivals, bar/restaurants, or in your backyard or home. If you have questions I'm easy to reach and I can provide professional references of all types. WOW!! Perfect! Professional, friendly, talented, wide vareity of songs. We couldn't have picked a better guitarist for our beachside event for a million dollars. Very very satisfied! Kenny Chesney BigJeff Learn this! Please note Jeff Wayne will also travel to Ponte Vedra Beach, Jacksonville Beach, Jacksonville, Neptune Beach, Atlantic Beach, Kings Bay, Orange Park, Saint Augustine, Green Cove Springs, Fernandina Beach, Yulee, Penney Farms, Middleburg, Doctors Inlet, Elkton, Callahan, Bostwick, Bryceville, Hastings, Saint Marys, East Palatka, Kingsland, Lawtey, Palatka, Florahome, Macclenny, Hilliard, San Mateo, Palm Coast, Glen Saint Mary.